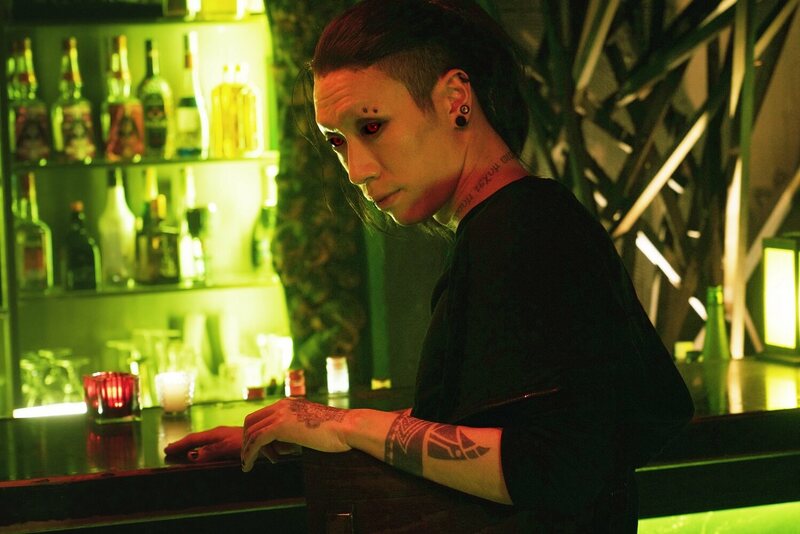 It has been announced that Japanese actor Minosuke Bandô will play the role of Uta in the upcoming Tokyo Ghoul live-action sequel film set for release on July 19, 2019. The story is set in Tokyo where ghouls lurk and feast on humans. Ken Kaneki battles his conflicting existence of being half-human and half-ghoul. Uta created a mask for half-ghoul Kaneki to wear in the first film and was also concerned for him. But viewers will see another side to him in the sequel at the Ghoul Restaurant where ghouls gather to eat humans. Bandô once again looks the part with his piercings, full body tattoos and Kakugan red eyes. Also returning to the sequel is Masataka Kubota as Ken Kaneki, Shunya Shiraishi as Nishiki Nishio, Kai Ogasawara as Hideyoshi Nagachika, and Maika Yamamoto as Touka Kirishima.